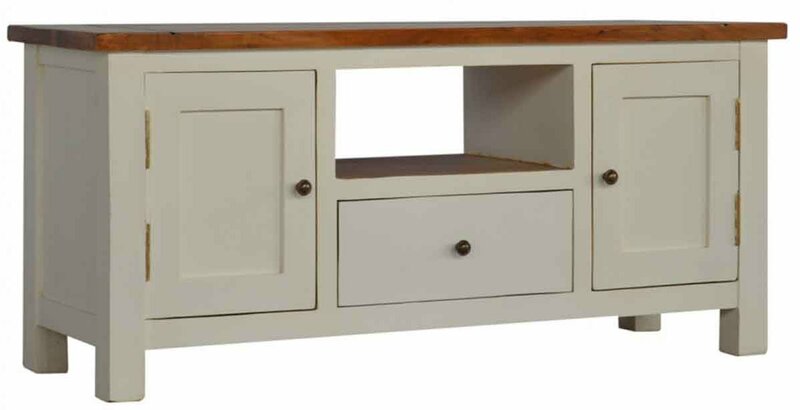 This 2 toned media unit has a white hand spray painted base which is constructed from solid mango wood and a rich honey finish top which is constructed from solid acacia wood. It comes with 1 drawer, 2 door cabinets and 1 shelf also there is a decent sized top to place a TV. 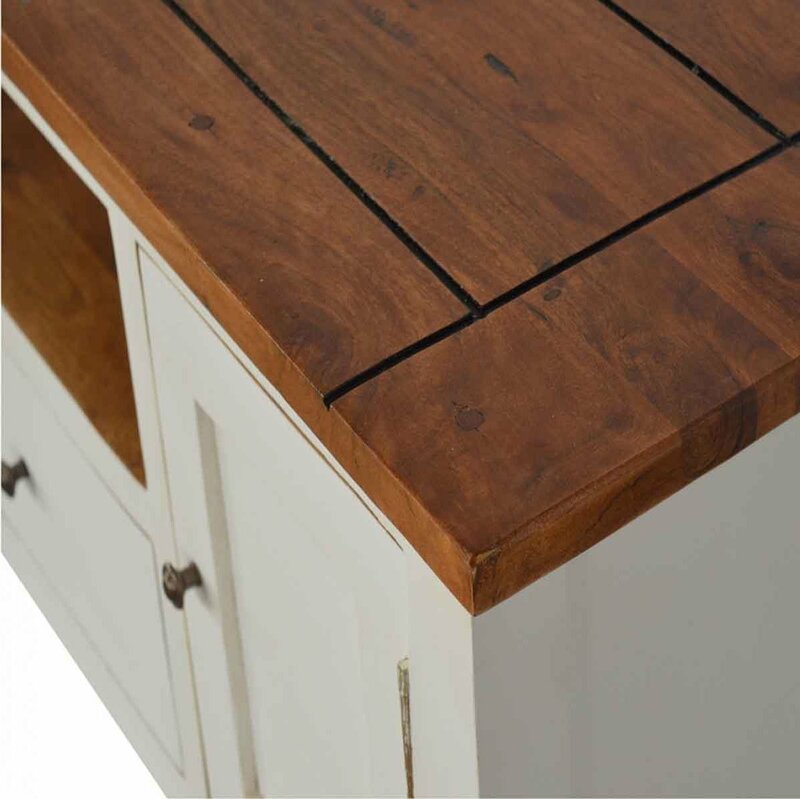 Other features include shiny brass knob handles; straight farmhouse feet and the drawer inners have a rich honey finish. AVF Blenheim Oak TV Stand for up to 55"